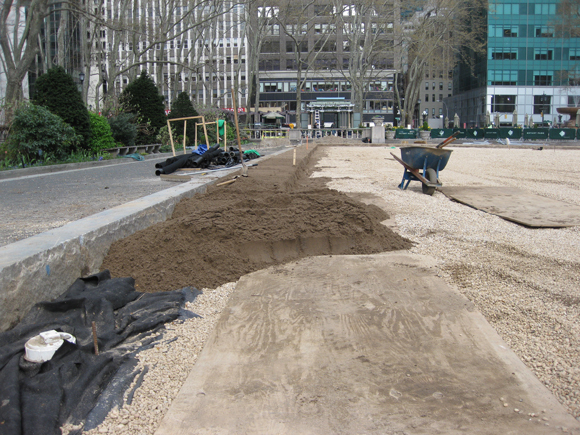 We're getting closer and closer to the re-sodding stage of the Bryant Park lawn installation. On Monday, our crews were still making necessary improvements to the drainage and irrigation systems on the east side of the lawn, as you can see in the photo below. The rest of the area had been covered with a gravel base, and a test patch of our new soil mix was spread on top of that, in the northwest corner of the lawn (bottom left of the photo). Over the course of this week, the irrigation and drainage systems were completed and we began receiving more soil deliveries to cover the entire lawn area. The crew is working from west to east, with almost one third of the area filled in with a 12 inch layer of new soil, as of 3pm this afternoon. 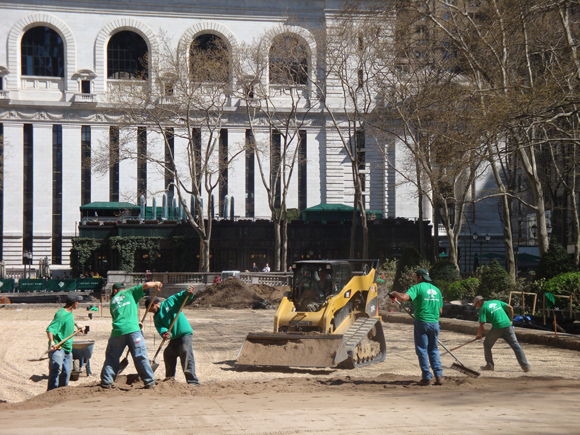 15 more truckloads of soil are schedule to arrive tomorrow, and the transfer of soil to the lawn area will continue throughout the weekend into next week. 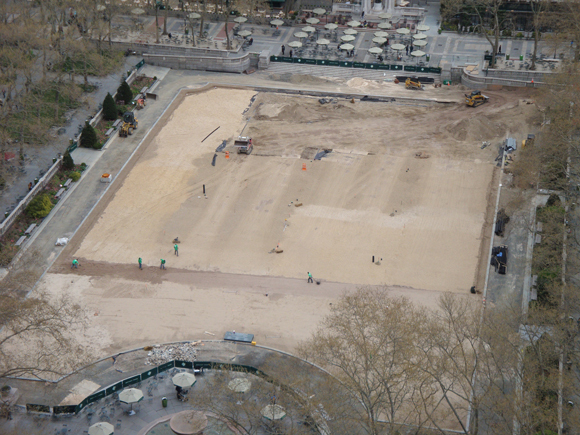 Then, our sod will make its journey from New Jersey to Manhattan and begin establishing roots in our lovely new soil base.